Technology has already changed the way our lives work, from the means of which we start our days, until the moment we close our eyes to sleep at night. So much of this change has stemmed from the use of Smartphones, and how we have begun to rely on these small, personal devices. We no longer need physical clocks on our bedside to wake us at set times of the morning, nor do we need to get out of bed to check the news, connect with friends or even finish some work tasks. Our phones have become our go to for everything including calculators, calendars, cameras and connectivity. This mobile lifestyle is increasing at a rapid pace, with apps covering every conceivable need. Recent innovations have seen the combination of mobile devices, mixed in with another imperative technological invention of our time, the automobile. Technologies within our cars have changed the way we drive, making our commutes safer, more affordable and environmentally friendly over time. Additions to our trips such as power steering, Bluetooth connectivity, auto voice dialling, automatic windows, central locking, and parking assist have become almost synonymous with the modern day car. In addition to our mobile devices, technology in cars of the near future promises excitement, convenience and increased safety. This comes especially with the introduction of wireless internet within vehicles. This technology has been given the name “the connected car” which gives a broad term to the entire concept. The car is not only connected to the internet, but also can perform various tasks due to this connection. For example, one could send notifications to a car directly from a Smartphone or watch device. Curfew alerts for parents of children using the car, or geo-fencing which alerts the car owner when the vehicle ventures outside of the designated area are features sure to attract many. Navigation tools that can be sent directly from phone to car, as well as real-time traffic reports are another feature. There are some connected cars that can communicate with the driver, alerting them to the road around them. When a driver wishes to change lanes where there are obstructions or other cars in the way, the driver is alerted by the car itself. There are even some features which monitor a safe travelling distance while driving and will automatically break and accelerate to keep the same distance. A car’s connection to the internet and therefore an access to a Smartphone can also create many means to better understand our cars themselves. 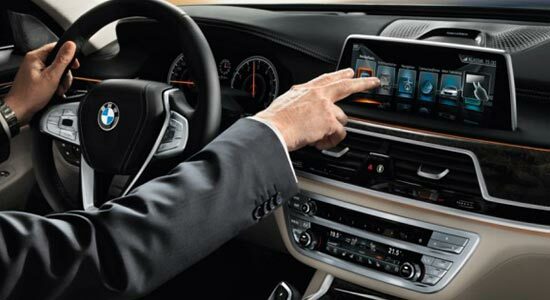 BMW for example, allows your Smartphone device to check the battery capacity of the vehicle while it recharges. This technology can be used to send Smartphone alerts in times when the car is in need of service, or even specific parts and devices which need repairs. This can be done with the use of Smartphone or tablet applications, some already widespread, others specific to car models and brands. The trend in technology seems to be that automation of tasks to provide the utmost convenience, is the future. This is a compelling statement when it comes to things such as the introduction of autonomous cars from big companies such as Google. This bubble-shaped car called Waymo is designed as a means of providing future generations with a much safer means of travel. This technology is very nearly in our sights, as the first public trails have already begun. Software and sensors are able to pick up pedestrians, cyclists, other motor vehicles, obstructions, etc. on the road around them. The distance to which this detection extends is roughly around 1km. This technology could eventually lead to a world where the ownership of vehicles becomes unnecessary, as self driving cars could be summoned from Smartphone’s in seconds. These features are already in action today with App technology such as Uber, which has revolutionized the way in which we get around without the use of our own cars. The idea that you can simply open up your phone, tap the screen a few times and within seconds have a ride from A to B, has made the lives of many commuters far easier. There is even a method for ordering luxury, exclusive vehicles much in the same way. With the Future Express App, one can select pick up and drop off locations, review the drivers profile, set additional points of stopping along the way, and even customize the vehicle, all in one place. This and many more features make the driving experience better than ever before. With technology increasing and expanding overwhelmingly, it is evident that our futures include the best of on-demand, automatic and simply services. This shift towards safer, more convenient technologiescan be seen to dramatically alter aspects affecting our personal lives, as well as our society as a whole. Have you got your Future Express App? Download yours today on both Google Play and the IOS Store. Book Your transfer with Future Express. Our focus has and will always be the corporate market.We tailor make our service to each client's specific needs. © Copyright Future Express. All Rights Reserved.